FREE SHIPPING IN CANADA AND THE USA! One of the most unique and imposing swords in DSA’s lineup, this sword was dreamed up by Jason Woodard, former “Factory X” sword designer (See Jason test this Fantasy Sword and put it through its paces here). 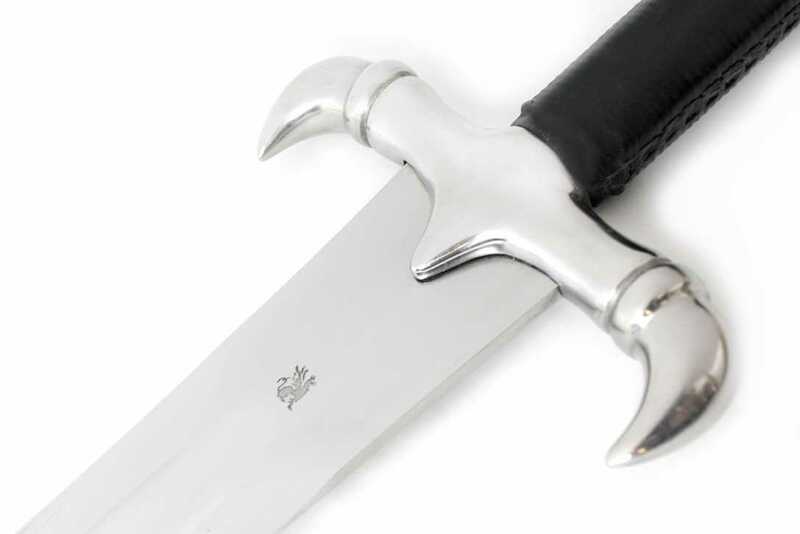 Forged from 5160 Spring Steel, the Guardian has a massive 2.5" wide blade that is Dual Tempered with an edge hardness of 60 and core HRC 50. The downward facing Dragon Claw guard, or quillions are made from high quality mild steel for an overall durable and sturdy package. “Woodard” was originally derived from the Old English words "wode", meaning wood, and ward, meaning "Guardian". A name given to a forester, a guard, or a protector. An historical usage of the name goes back to the Battle of Hastings, where one Commander "Woodard", was granted lands by King William for his assistance during the battle. The name of "protector" inspired Jason to create this imposing fantasy piece. 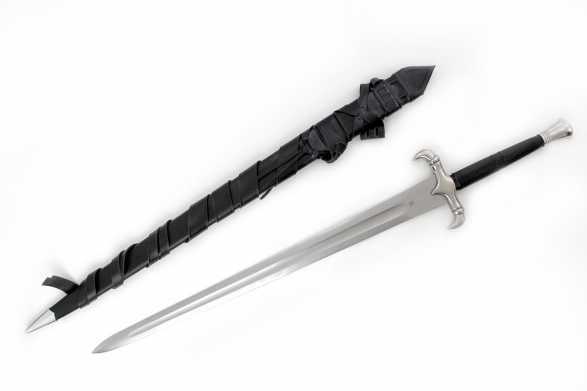 This sword comes with a wood core, deluxe scabbard as standard and includes a fully wearable, premium quality sword belt with suspension system - allowing it to be worn or for an extra flourish when not in use hung on the wall. Unlike Darksword blades we sold in the past, the sword is automatically also given a thorough sharpening until it is paper cutting sharp! 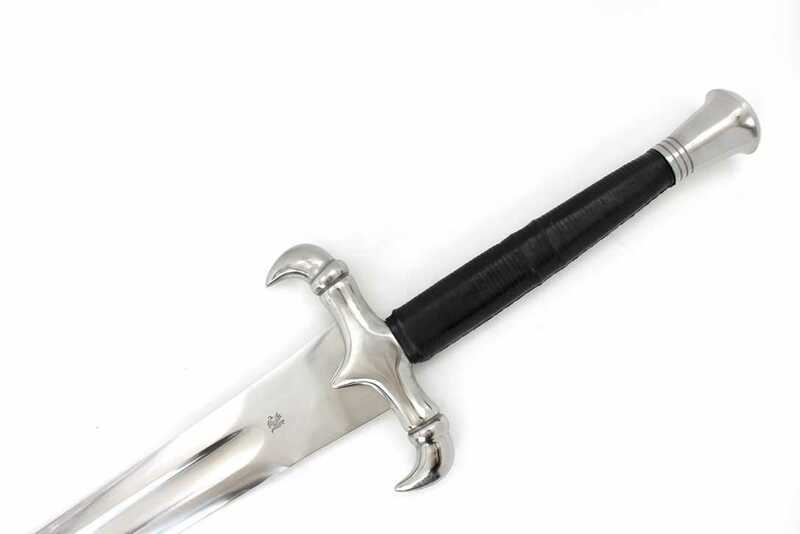 The hilt is extremely attractive, with a mild steel curved crossguard and genuine leather wrap handle, and the whole assembly PEENED together for maximum hilt integrity and durability. 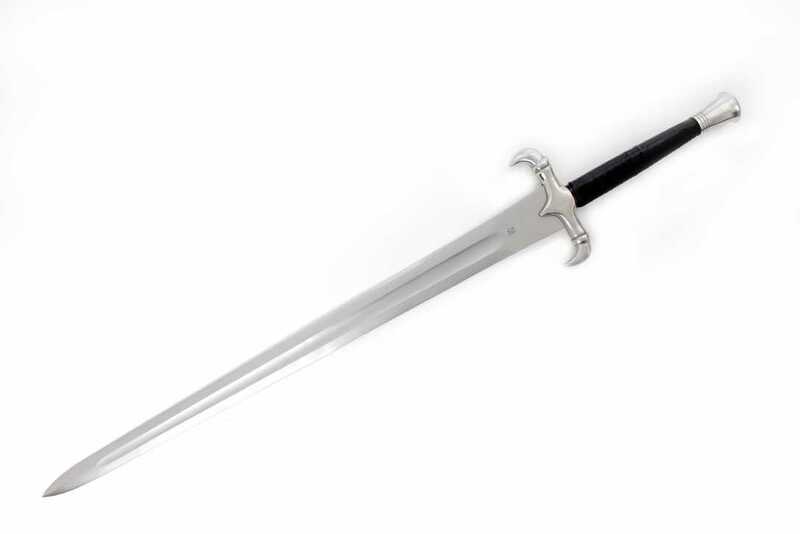 This fantasy two-handed sword is very unique, and would stand out noticeably in any collection as a display piece, or solid heavy-duty cutter. 5160 Hand Sharpened Spring Steel Blade, Dual Tempered with an edge HRC of 60 and core HRC of 50. Mild Steel Fittings. Wood core leather wrapped handle and scabbard with wearable belt and scabbard suspension system. 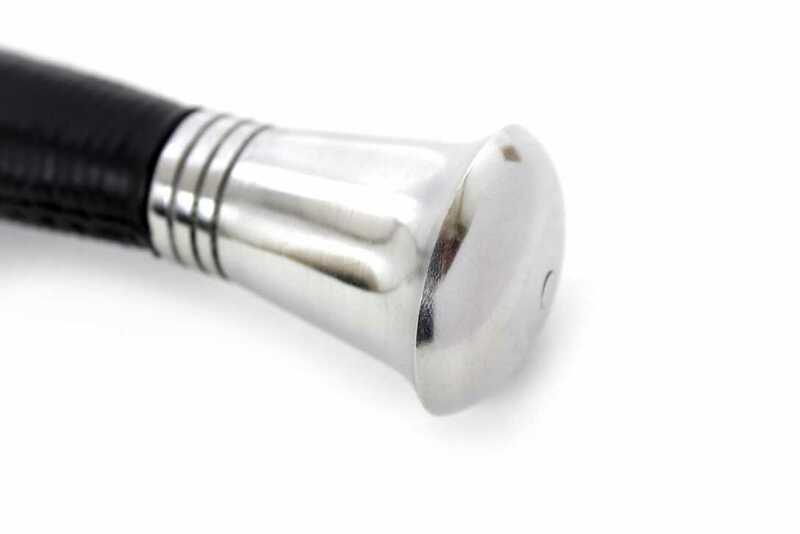 Peened pommel for additional durability.